No discounts on offer for investors as pricing hap exists. 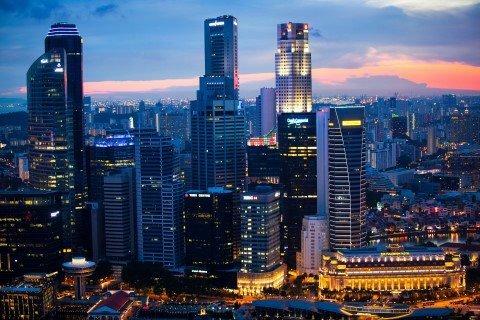 The property firm noted that office yields in Singapore were flat but fundamentals remained weak. "However, vendors were under no pressure to sell, especially at discounted prices. The period saw a revival in interest among opportunistic investors but a pricing gap still exists," noted the firm. Across Asia office yields for core prime assets in Asia Pacific gateway cities compressed further in Q3 2016, according to new data from CBRE Research. "Further office yield compression was recorded in Sydney, Melbourne, Auckland and regional cities in Japan, but weaker-than-historical average rental growth in Asian cities hindered significant cap rate compression in general. The trend is being supported by investors’ robust appetite for real estate amid the volatile equity market and low returns on government bonds. Most buyers are focusing on core income-producing assets rather than taking on significant leasing or development risks. Other supportive factors include the prolonged low interest environment and the lack of investable office assets to trade in major markets," the firm noted. The bulk of office yield compression this quarter was registered in the Pacific, where the steady flow of investment grade deals and forecast rental growth continued to exert pressure on office yields in Sydney and Melbourne. The period also saw some convergence in Grade A and Grade B office yields in major Australian cities, with the differential in the Sydney CBD narrowing to 0.5%. In comparison, office yields in Asia were largely stable. In Japan, office yields in Tokyo showed signs of stabilising, but some compression was registered in regional cities including Osaka and Nagoya. Among other major cities, office yields in Hong Kong remain at a near historical low of 2.8% in Q3 2016 as a large number of Chinese and local investors competed for the limited volume of properties available for sale. Landlords turned more aggressive towards pricing during the period and this is forecast to continue. Despite the economic slowdown in China, office yields in Beijing and Shanghai remained low due to strong domestic investment demand and historically low interest rates. Domestic players accounted for 80% of total transaction activity in China this quarter, with 70% of this in tier I cities. Several markets are likely to reach a turning point in 2017. The Tokyo office market is forecast to reach the peak in H2 2017, prompting investors to turn less aggressive towards underwriting. In Singapore, softer office prices could provide pressure for yields to move up amid weak rental growth.